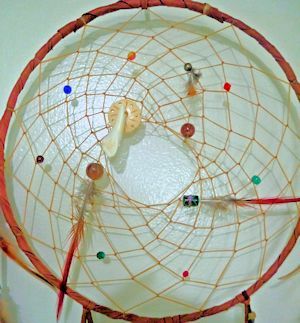 This beautiful 12" dream catcher features a genuine carved buffalo bone button and a real buffalo tooth in the web, as well as 10 glass, stone or bone beads. Shown in burgandy deerskin leather, you have your choice of 10 different leather colors. It has 5 long pheasant tails and dozens of red and yellow golden pheasant feathers adorning the fringes. Approximately 30" in total length. Custom hand made in the U.S.A. when you order it! You can choose the leather color with the dropdown menu below. Please allow about a week for construction of your custom craft. The picture shown is representative. 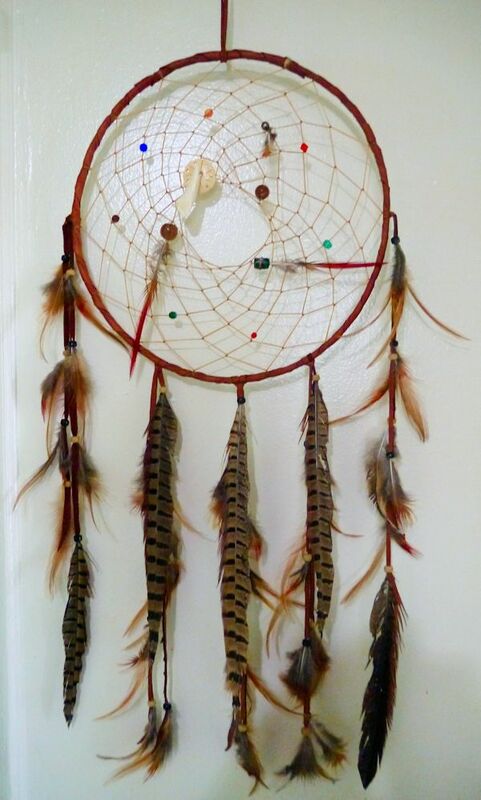 The one you receive may vary slightly because each dreamcatcher is hand made just for you.